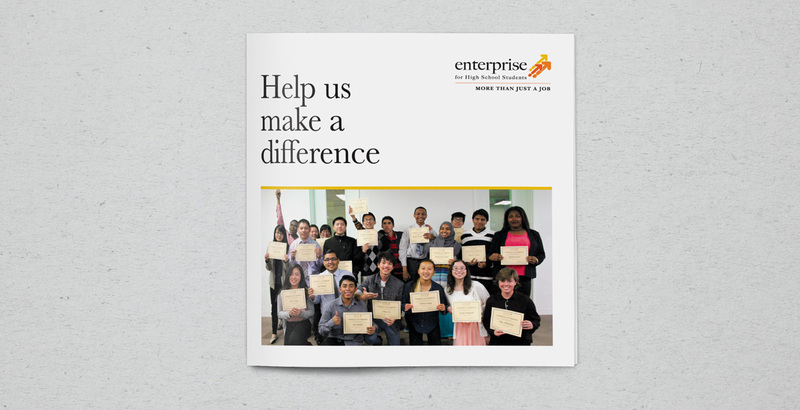 I was hired to create and produce a marketing brochure for Enterprise for High School Students (EHSS). 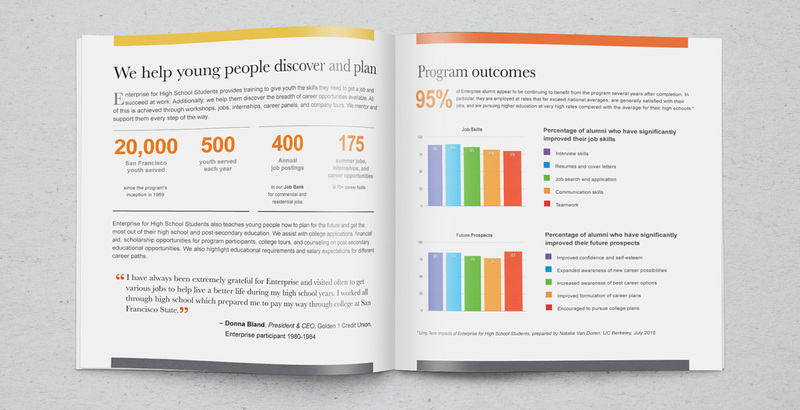 They wanted a simple, 12 page piece that could be used for marketing and fundraising activities. 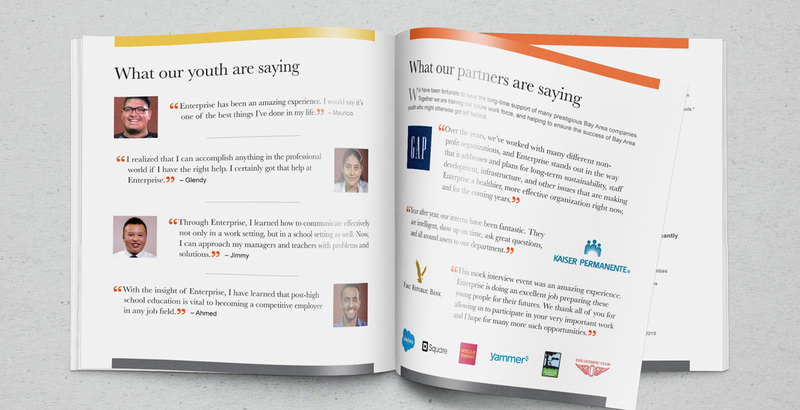 It was essential that the brochure carry on the look and feel of the existing brand. Utilizing color, typography & imagery, I created a piece that conveys their mission in a clean, concise way.